BTS members are bearing their achievements in mind and put further efforts. As the first South Korean singers, they were invited to such an event hosted by the Grammy Museum. 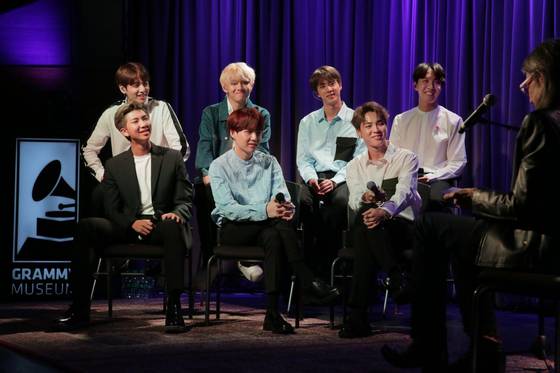 On September 11(local time), the world-famous K-pop group BTS have said they feel a sense of responsibility and pressure from all of their achievements. However, they vowed to work harder to maintain their current hardworking in all areas, both through their music and their actions. 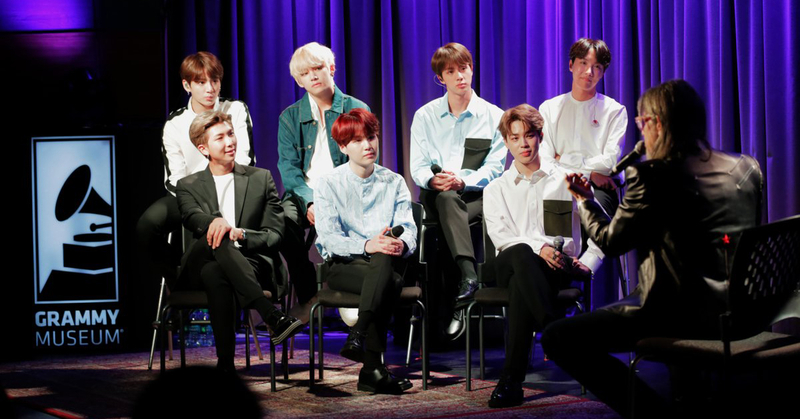 BTS members made their opinions during the event called, "A Conversation with BTS" with the Grammy museum's artistic director Scott Goldman on Tuesday(local time) at the Grammy Museum in Los Angeles. "It seems there is lack of healthy music for people to listen. Therefore, we wanted to fulfill that" said JUNGKOOK, also he said that they are trying to sing and write about their personal experiences, that shows to have brought good responses from fans. According to J-hope, "We all do our parts and participate in making the music. I think that is the reason our music is more sincere". BTS is broke another K-pop music history after recording their second No.1 title on the Billboard 200 Albums chart with LOVE YOURSELF: ANSER earlier this month. The previous achievement was made in May with LOVE YOURSELF: TEAR. V expressed gratitude to the fans' supports and said, "It is our fans who gave us the wings to go us up to where we are now". Meanwhile, BTS started LOVE YOURSELF world tour in Los Angeles and will continue in other cities until February 2019.